Posted in: 1 Pageant Pages, 2 Shout-out-Looks. 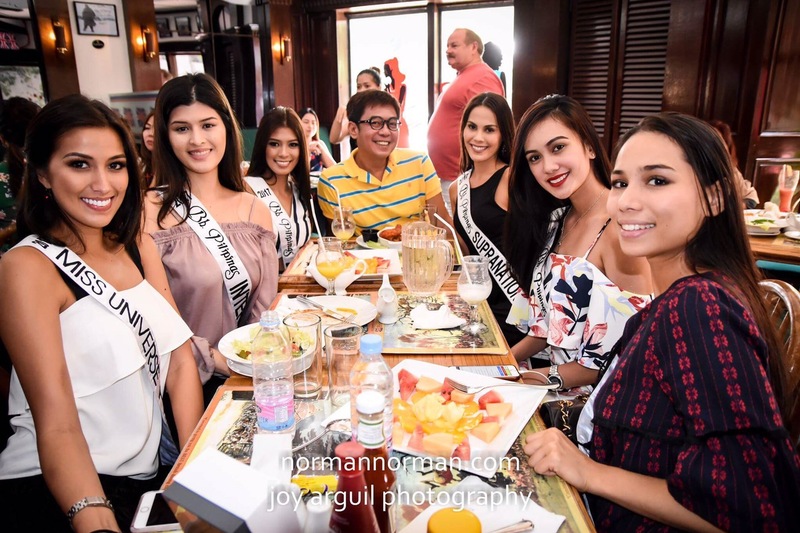 Tagged: Chanel Olive Thomas, David Charlton, David's Salon, Elizabeth Clenci, Kristel Guelos, Lotte Villarosa-Agraviador, Mariel de Leon, Nelda Ibe, Rachel Peters, Union Jack Tavern. 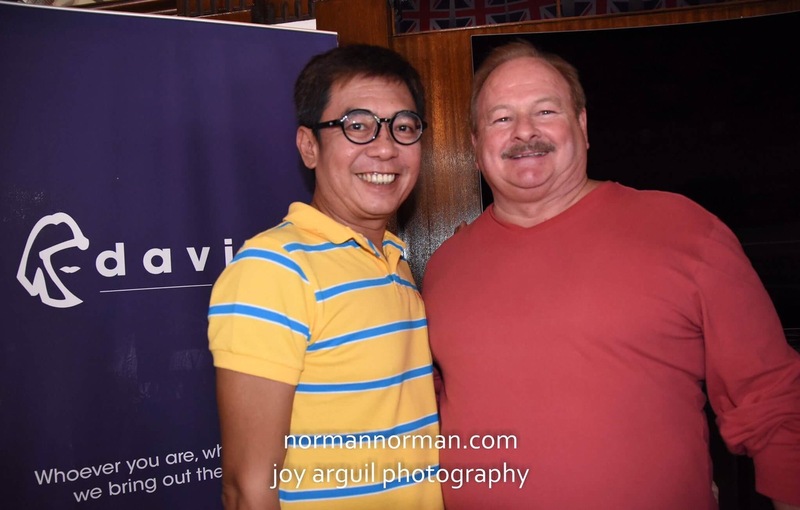 Just hours earlier, your blogger was invited to an exclusive coverage of the lunch and sponsor visit for David’s Salon held at the Union Jack Tavern in Legaspi Village, Makati. 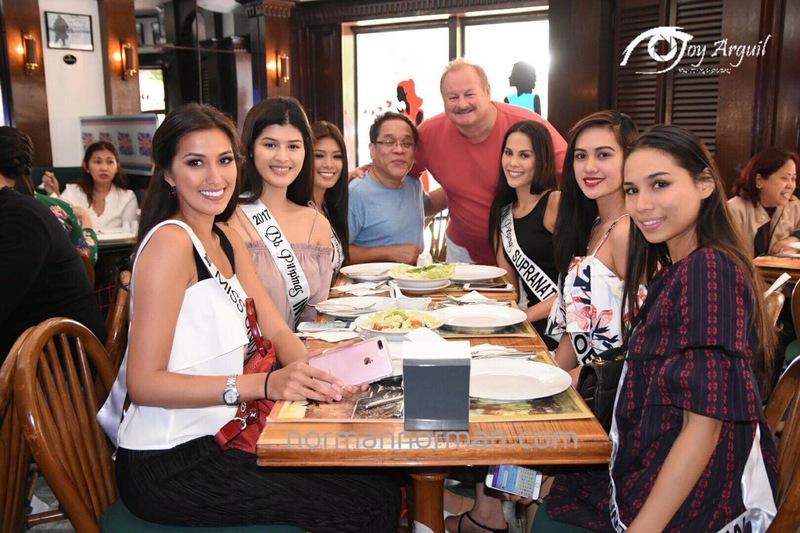 Actually, it was a victory lunch of sorts which the hair salon brand has been giving to the winning Binibinis every year. Present were Miss Universe Philippines Rachel Peters, Bb. Pilipinas International Mariel de Leon, Bb. Pilipinas Supranational Chanel Olive Thomas, Bb. Pilipinas Grand International Elizabeth Clenci, Bb. Pilipinas Globe Nelda Ibe and 2nd Runner-Up Kristel Guelos. Due to a previous commitment, 1st Runner-Up Charmaine Elima could not make it. Bb. Pilipinas Intercontinental Katarina Rodriguez, on the other hand, is currently on vacation in the Netherlands. It was a very light and joy-filled meal as the ladies were also reunited with their respective Hair and Make-Up Artists during the competition. And the big man (no pun intended) himself – David Charlton – was such a perfect host as he attended to all the ladies, especially Elizabeth who needed to have a specific meal prepared for her being a strict vegan. Everyone else feasted on delish British and Brit-Indian fares such as fish & chips, chicken masala, beef quesodillas, Sriracha chicken wings and more. Photo ops followed with everyone as loot bags (courtesy of David’s Salon and Union Jack Tavern) were also given away as take-home gifts. Here are more photos from the special lunch activity covered exclusively by normannorman.com. Posted in: 1 Pageant Pages, 2 Shout-out-Looks. 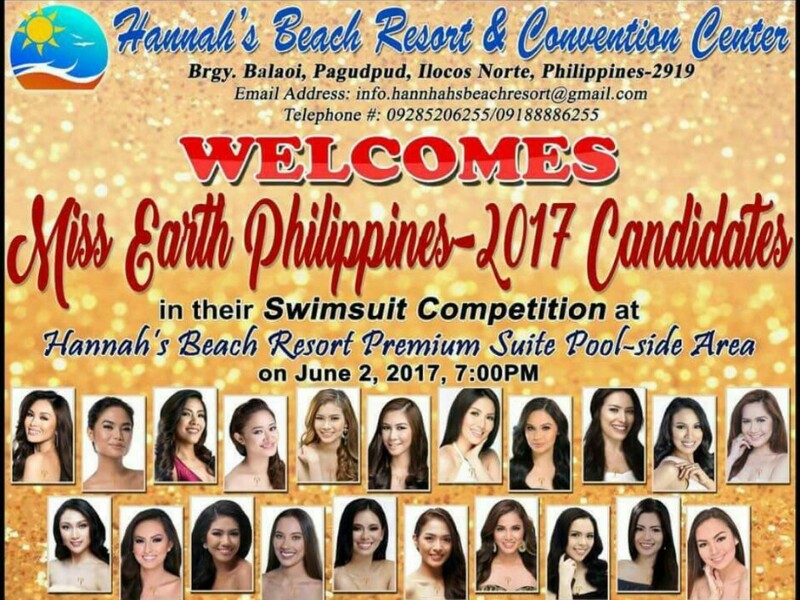 Tagged: Hannah's Beach Resort and Convention Center, Miss Philippines Earth 2017, Pagudpud, Sash Factor. 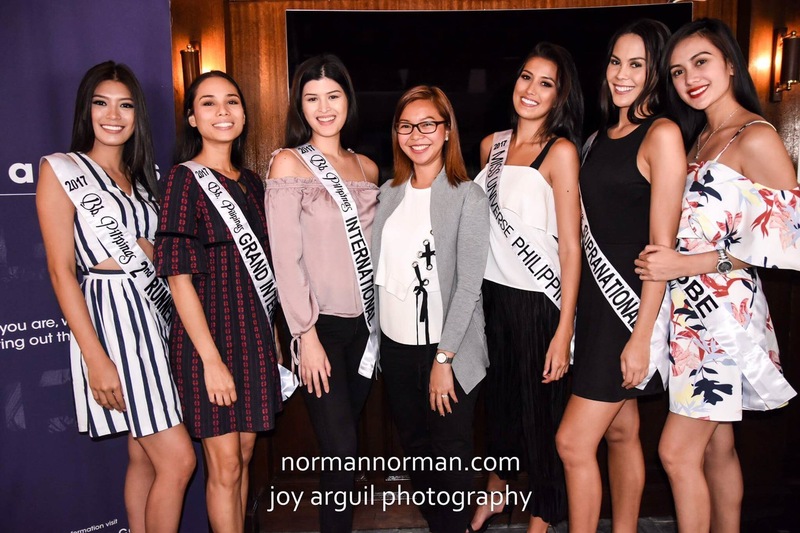 By late tonight (May 31), Miss Philippines Earth 2017 Official Candidates will converge at Carousel Mansion in Mandaluyong to start their long but exciting road trip to Hannah’s Beach Resort and Convention Center in Pagudpud, Ilocos Norte. 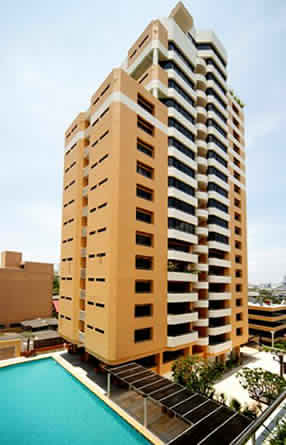 They will arrive in the vacation paradise midday of June 1 in preparation for the swimsuit competition that will take place on Friday, June 2 at the Premium Suites Poolside Area of the huge venue. I trust that the ladies will give their best to outshine each other considering that they are already being assessed for the pageant as early as now (Press Presentation won’t happen till later part of next month). Posted in: 1 Pageant Pages, 2 Shout-out-Looks. Tagged: Kylie Verzosa, Megan Young, Philippine Independence Day Annual Parade, Pia Wurtzbach, Valerie Weigmann. 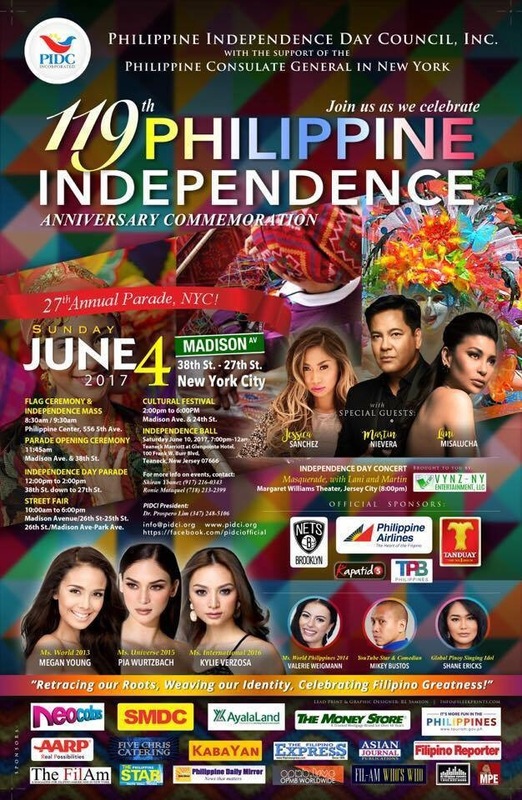 The 27th Philippine Independence Day Annual Parade 2017 will take place this coming weekend, June 4, right smack on Madison Avenue (38th-27th Streets) in busy Manhattan. Pageant aficionados in NYC will truly have a spectacular day on June 4, 2017! The 119th Celebration of the Declaration of Philippine Independence will have a Grand Parade along Madison Avenue in NYC with three of the Philippines’ most beautiful women who brought pride and joy and pride to all Filipinos worldwide continue to do so here in the parade. A comeback to NYC Philippine Independence Parade by Miss World 2013, Megan Young, Miss Universe 2015, Pia Wurtzbach, who was also last year’s Independence Ball honored guest and now Miss International 2016, Kylie Verzosa are this year’s special guests at the parade. 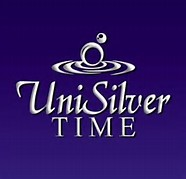 Their participation is courtesy of the Philippine Tourism Promotions Board and Neocolors. The three queens will be joined by celebrity headliners Concert King Martin Nievera , Asia’s Nightingale Lani Misalucha courtesy of VYNZ-NY Entertainment; and American Idol’s 11th Season 1st runner-up winner Jessica Sanchez. Ms World-Philippines 2014 Valerie Weigman, now based in NYC, will also be at the parade, along side current Grand Champion Global Pinoy Singing Idol, Shane Ericks and Mikey Bustos, our youtube sensation/comedian. Other performers include Sing Pilipinas Winner Mitch Week; Christopher Corro – 1st runner up, Desiree Wisotsky – 2nd runner up, and Excelsia De Jesus 3rd runner up. An invitation has been extended to the cast of Ms. Saigon. Fiipino members of the cast have been performing on Broadway since March of this year. PIDCI’s 2017 Parade Grand Marshals Drs. Rod & Ellen Castillo will spearhead this June’s parade with the Mrs. Kalayaan and Diwa ng Kalayaan and their court with the PIDCI Pres. and Board of Directors, the Philippine Consulate General in NY. Hundreds Fil-Am Organizations and local beauty queens and kings from all over the US and government officials will be joining the Philippine Independence Day Council, Inc. (PIDCI) which produces the annual celebration and parade here in NYC. 2017 PIDCI Officers and Board of Directors are: President – Prospero A. Lim, MD,; Vice-President – Raul Estrellado; Secretary – Joycelyn Aligarbes; Treasurer – Nora Galleros; Internal Auditor – Annie Ortiz; General Counsel – Manny B. Quintal, Esq. VYNZ-NY Entertainment is going to showcase another big show featuring Martin Nievera and Lani Misalucha on a Masquerade Concert. These are certainly two of the most sought-after and bankable artists today and with unparalleled vocal prowess and incredible showmanship, undoubtedly, they are both amazing on their own. In this Masquerade show, they have proven to be indeed the perfect match for a show stopping concert like no other! See you on June 4, 2017, 8:00 pm at NJCU Margaret Williams Theater, New Jersey. 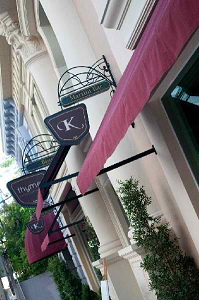 Posted in: 1 Pageant Pages, 2 Shout-out-Looks, 5 TV Tales. Tagged: ABS-CBN, Apriel Smith, Jessica Ramirez, Liza Soberano, MMK, Patricia Babista, Pia Wurtzbach, Zsa-Zsa Padilla. 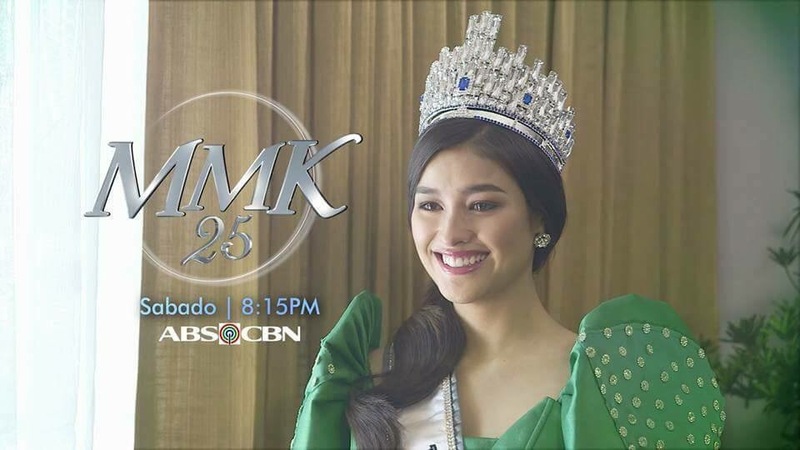 This coming Saturday, June 3, the life story of Miss Universe 2015 Pia Wurtzbach will finally unfold on the ABS-CBN weekly drama anthology “Maalaala Mo Kaya?” courtesy of the beautiful Liza Soberano who will play the lead. 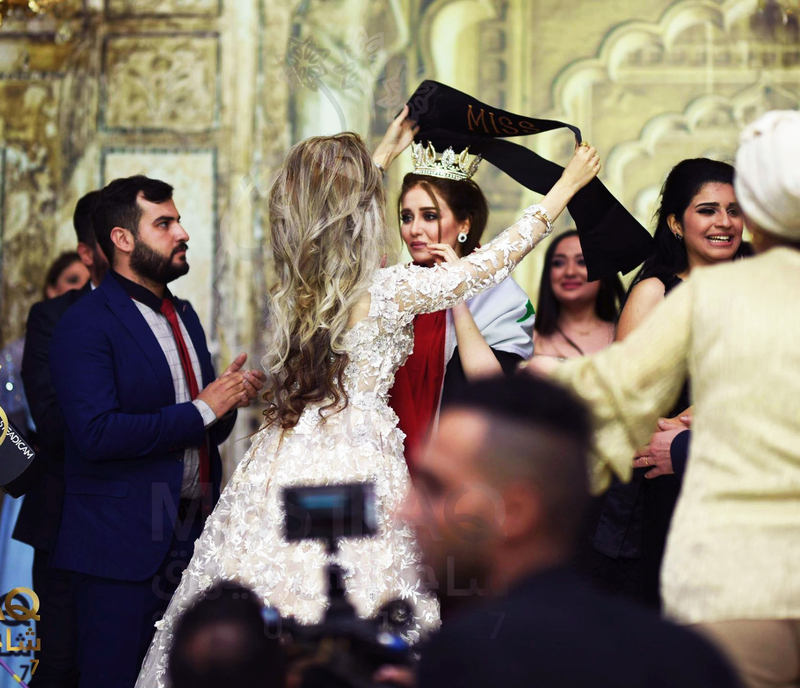 Focus will be given on her family life (and the drama surrounding her younger years) before achieving pageant glory. Her mother, Cheryl, will be played by actress Zsa Zsa Padilla. Watch out for cameos of ladies from Aces & Queens – like Apriel Smith, Jessica Ramirez and Patricia Babista – during her training scenes at the beauty camp. Don’t miss this episode of MMK! Posted in: 1 Pageant Pages, 2 Shout-out-Looks. Tagged: Bake, Migz Villafuerte, Miss Universe Philippines 2017, Rachel Peters, Siargao. If you happen to be in Siargao and chance upon a tall, beautiful lady who looks just like Miss Universe Philippines 2017 Rachel Peters, consider yourself lucky because that would be one of the rare occasions that she got a brief respite from beauty queen duties at BPCI. You see, prior to winning the national crown, Rachel was already busy with the planned opening of her bar/coffee shop in surfing paradise Siargao. This is a hideout of sorts from the stress of urban jungle living which she has delightfully called “Bake”. And since I have known fully well how much she loves surfing, dogs and the beach, this is pretty much the comfort zone of a business that she has been involved in with boyfriend Migz Villafuerte. Schedules have definitely moved after winning Bb. Pilipinas. But Rachel will find the time to attend to “Bake”, even if it means just stealing brief moments (read: a day or two) from the hectic schedule in Manila. 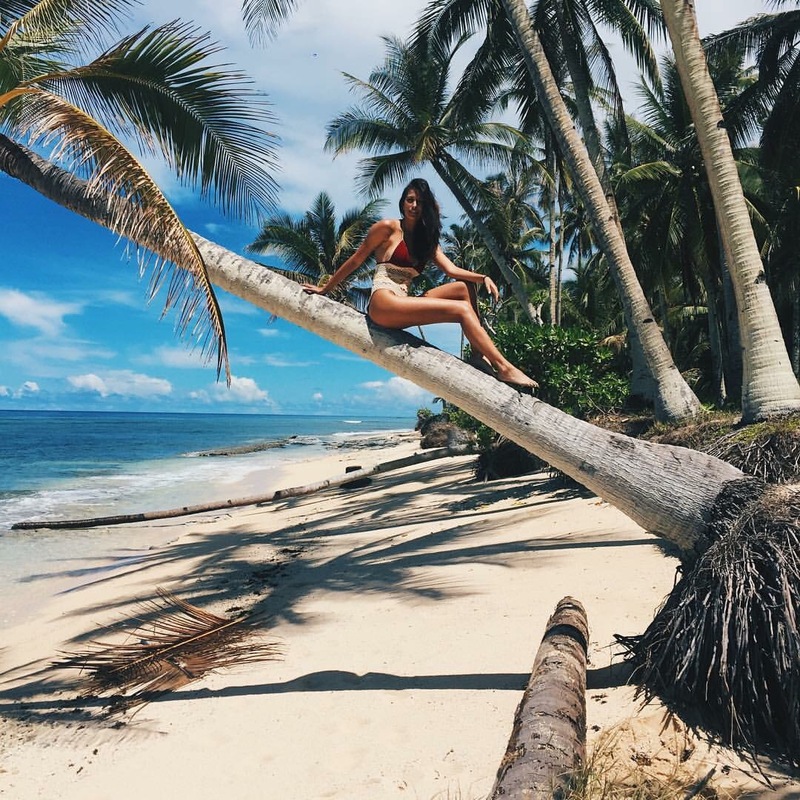 So if you plan to surf in Siargao in a next vacation, make sure you time it during or around the opening of “Bake” so you will see Rachel in action as a barista (she trained in Australia before) or serving yummy pastries with a cup of cappucino or latte’.